The Airport Security Force (ASF) on Friday recovered a large cache of arms and ammunition from a Malaysian citizen allegedly belonging to a banned terrorist organisation as he attempted to board a flight back to his homeland from Jinnah International Airport. 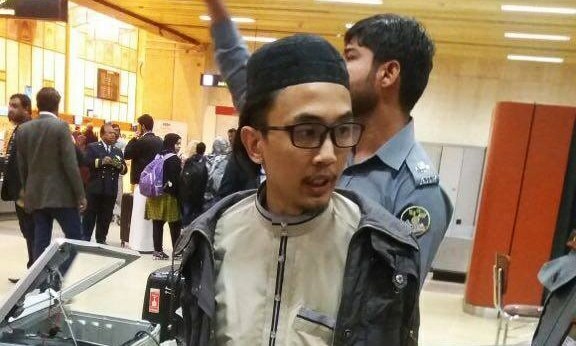 The 20-year-old Khairul Mohammad had arrived in Karachi a week ago, following which he travelled to Peshawar where he reportedly bought four pistols, eight magazines and bullets before having them concealed in a microwave oven and his shoes to avoid detection at the airport. However, his stash was detected when his luggage was passed through scanners while he tried boarding a Thai Airways flight. According to ASF sources, the suspect was handed over to intelligence agencies as they suspect he may have been abetted by facilitators in both Karachi and Peshawar. Officials did not specify which organisation the suspect belonged to.